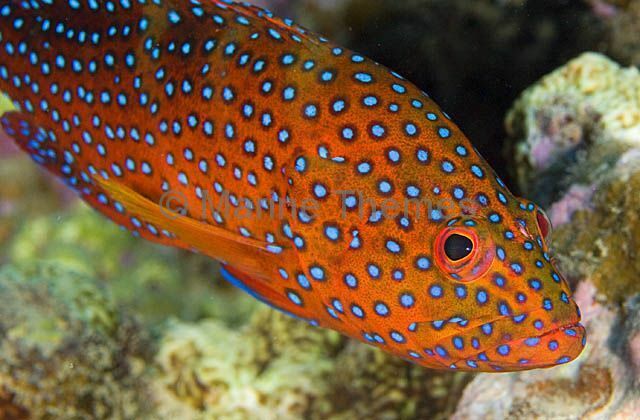 Coral Cod (Cephalopholis miniata) with cleaner wrasse. 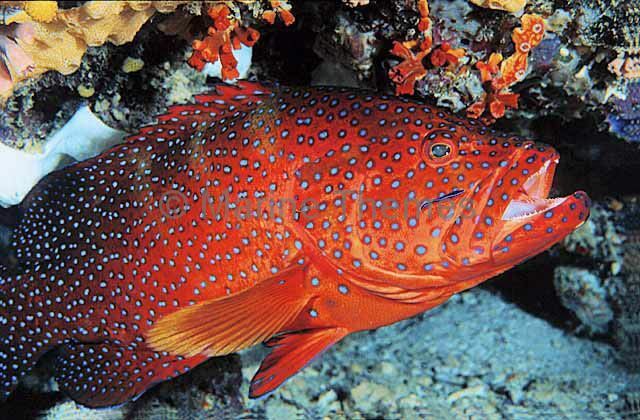 Coral Cod (Cephalopholis miniata) showing threat posture. 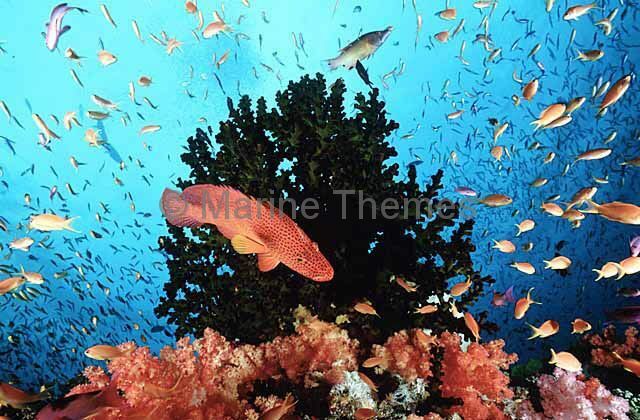 Coral Cod (Cephalopholis miniata) hovering in front of Gorgonian Sea Fan. 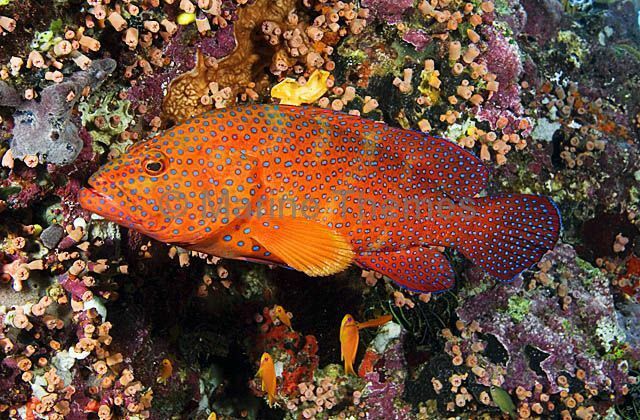 Coral Cod (Cephalopholis miniata) resting on Gorgonian Sea Fan. 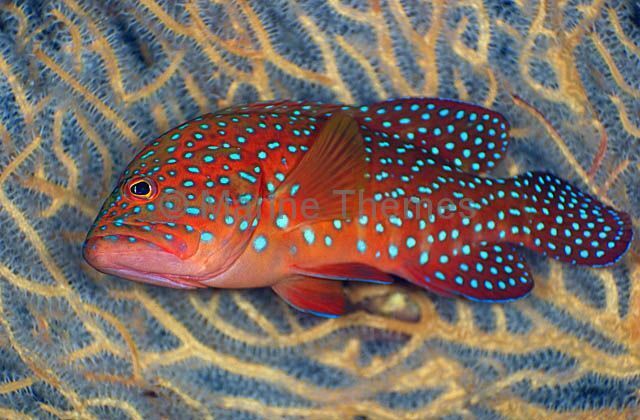 Coral Cod (Cephalopholis miniata) or Coral Grouper under plate coral. 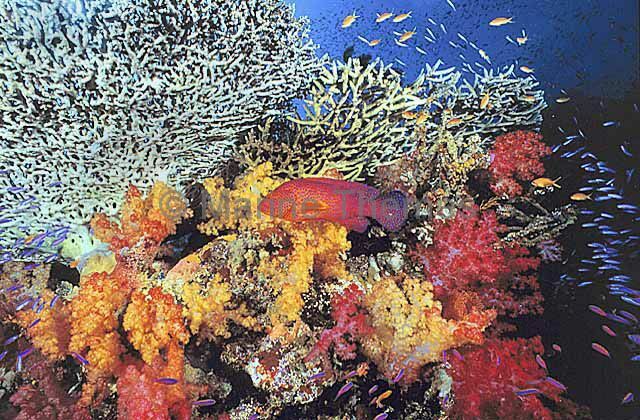 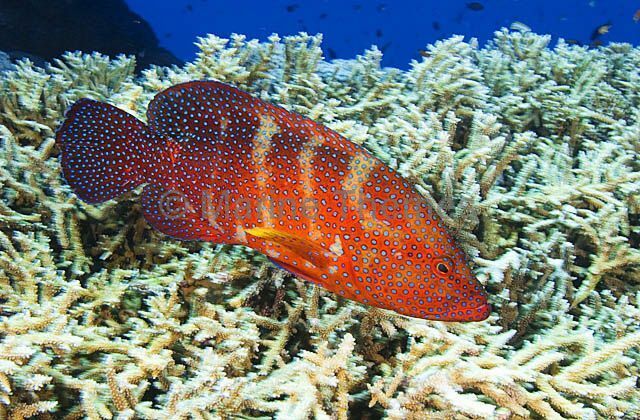 Coral Cod (Cephalopholis miniata) swimming over acropora coral plate. 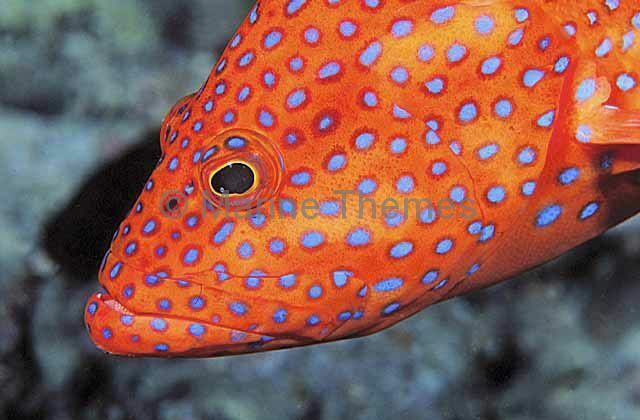 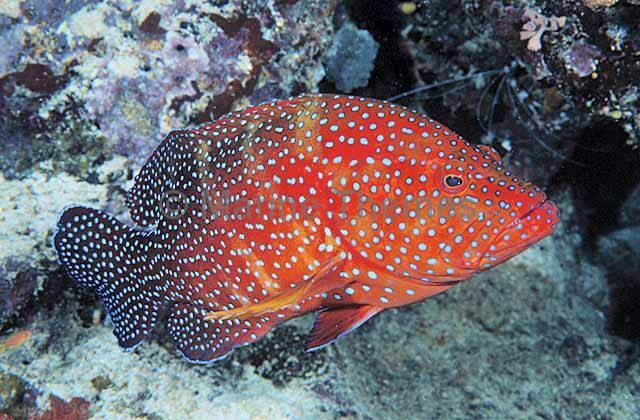 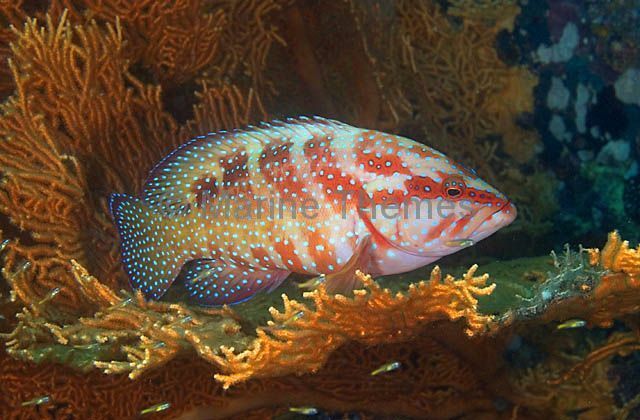 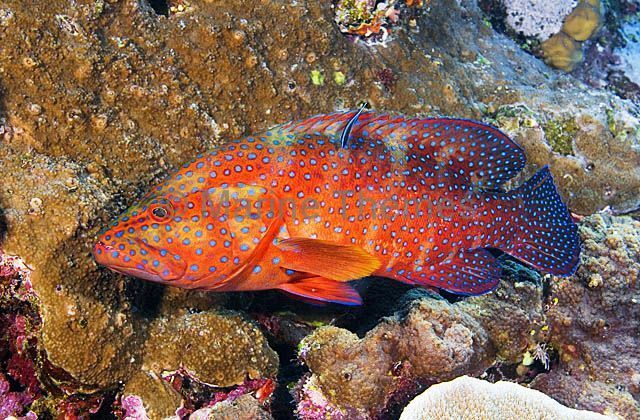 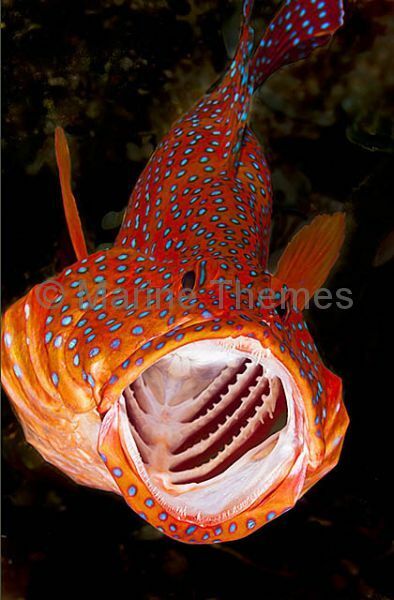 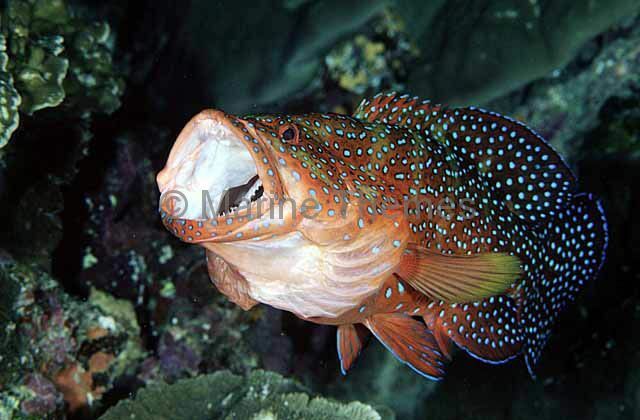 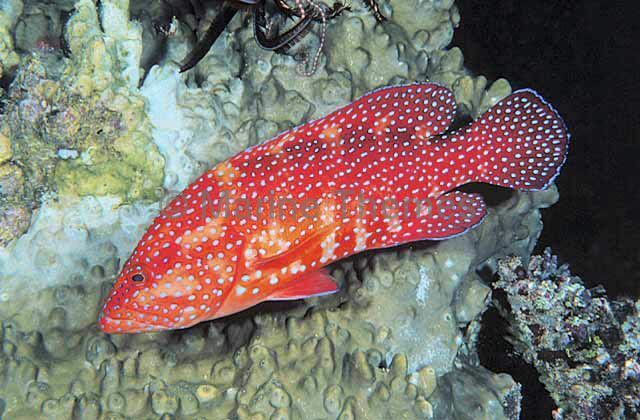 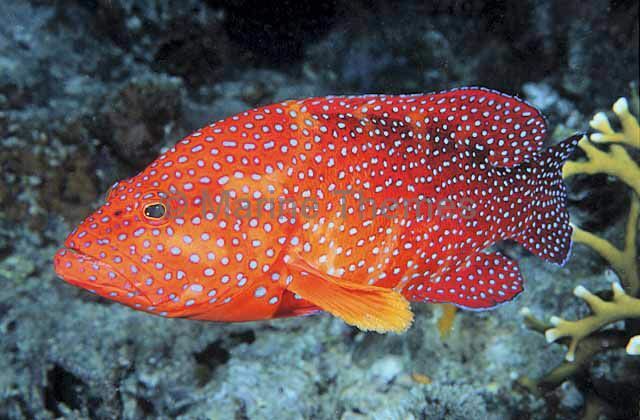 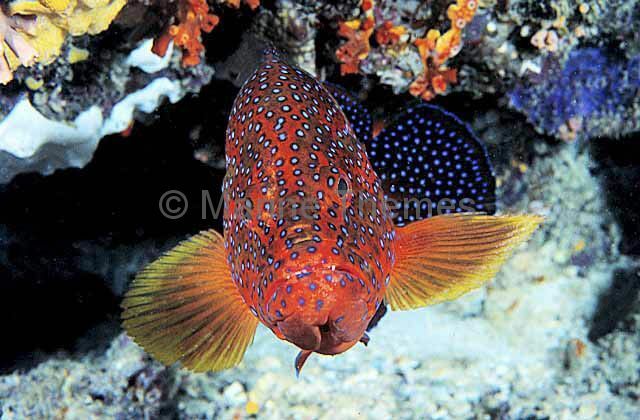 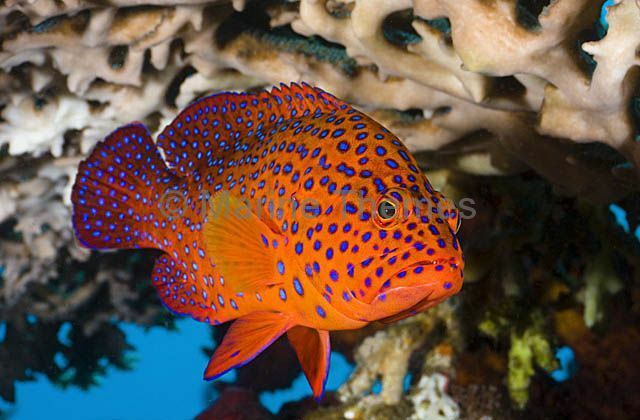 Coral Grouper (Cephalopholis miniata) In cleaning posture.